hey guys and welcome to the Big Brother buddyWeek in Review + rankings.first of all I would like to say I am copying a former blogger on this website please do not be offended by this as he did put up rankings last year. first of all we should go over what happened Wednesday and Thursday on Big Brother. We began with a look at the major alliance of James, Jason, Da'Vonne, Clay, Meg, and Audry talking over this weeks agenda of Jace. In a DR interview afterwards Da' Vonne admited the alliance wouldnt work with so many people and that eventually it could hurt her game. In the backyard, that afternoon, everyone was relaxing, exercising, and enjoying their time when Jace came streaking through. Everyone was really annoyed, and Austin had a talk woth him afterwards, telling him how they felt(though it looked like Jace didnt want to hear it). Thinking smart, Austin suggested talking with the HOH, but instead Jace walked in and began begging Audrey and James for an alliance. In a brilliant cover-up Audrey bluffed, saying they. Could go after the other HOH. Meanwhile downstairs, Da was counting everything she could because there always is a counting comp eventually. As she passed Clay and Shelli to go into another bedroom, Shelli told Jeff(who had noticed Da as well) to pretend to go after someting so he could watch her. The bad news: Da heard her. She told them to next time ask her, not send aomeone to spy before storming off. Clay said he would attempt damage control, but instead made matters worse by acting like it didnt happen the way Da'Vonne claimed, making her look like the bad guy to her alliance. Afterwards Clay talked with Jeff about her, and then Clay went and talked to Audrey on Das anger... And Da'Vonne knew... how she did i have no FREAKIN clue... shes good. Players ran through a small obstacle to dig through giant noses for letters with points from 1-3 to make the word with the most points. They had tenminutes to make it and it is notable to say that EVERYONE SPELLED CORRECTLY!!!!!!! This left Steve with the gold POV necklace, so congrats to Steve on his first comp win. That night, Audrey took charge, pulling a new alliance out of her hat. Theey didnt agree with her methods however, and here is the new alliance: Audrey, James, Jason, Jeff, Shelli, Meg, and Clay. An alliance to be reconed with if it really comes into power. I did not watch all of Thursdays but ill try now..... STUFF WENT DOWN. but seriously. Yesterday was nothing but a mad scramble for votes by Jace, which actually lost more than ot gained. In the end (with audrey changing things up again by voting Jackie) Jace was sent packing by a landslide 13-1 vote, makin him the first evicted HG of BB 17. Afterwards Two new HOHs were crowned. Shelli and Becky congratulations girls. Now for the rankings, these are my own personal feelings on the HGs so far, so please no complaining. Jace acted to immature for the other houseguests, however after finding this out he did nothing to tone it down. His attitude, and the fact of his obnoxious im not done yet bit, have earned him number 16. An incredibly annoying person all around and a literal puppet, John will do or say whatever he is told by anyone... His gameplay has sucked so far, and if he doesnt change soon i predict his eviction will be coming soon. Victoria would be so proud... here she is, Meg. though joining a big alliance Meg is a background player and, like John, a puppet. i think she will stay long enough for jury, but after that it is unknown. As a player Jackie is fairly strong in comps, but her social game consists of being a pawn for James, and holding on to Jeffs hand every step of the way, relying way to much on others to take her further. One word- DWEEB. Though winning POV Steve is just too dang scared of EVERYTHING. He cant go into an alliance because he would blow every plan... He cant play alone or hell be singled out for eviction.... He is simply an unwilling pawn in this game. Though his good looks get him the ladies, the comps dont bend. Clays most notable act so far has been ticking Mama Da off to no end. Though smart at poker vanessa has done... nothing in the house besides saving Austin from any possibility of ellimination this week. Shelli is an expert manipulater, but depends on others too much. If she wins a few comps though, this blonde bombshell might just have what it takes to take home the win. In case u didnt know here are your twins america. Julia and Liz have a slight voice difference, but other than that nothing is easily telling. Because of their ability to swap so easily these ladies get to number 8. I know, why Austin? Well, even though he was obviously in an alliance with Jace, Austin has no blood on his hands, nor a target on his back, suprisingly. Because of this i think Austin deserves 7th for flying under the radar. Smart and decisive, Jason is one of the few people i think can win this competition. If he wanted, he could make his own alliance from ANYONE right now and it would work just becausehe was there. Howevere, he needs his alliance, which is his greatest weakness. He is obviously a threat, and i believe he could be blindsided if he isnt to careful. Mama Da sees all. Mama Da knows all. No matter what anyone does Da knows, and knows how to use it. She is an excellent people reader, but too easily angered. A fight in week one? Seriously? because of this im giving her 5th rather than first. A manipulater better than Shelli, smarter than Jason, better at comps than boys like Clay and Austin. Audrey is the whole package, but she is letting her power get to her head. If she isnt careful she could be gone soon, but for now i think Au is safe. I predict either jury or final 3, but the win, nah... sorry girl. Jeff for number 3? I must be joking right? No. Jeff has spent this last week making the target on his back as small as possible, and so far has done so perfectly. Also he has helped along Jackie, and is part of the major alliance in the house. Earning him number 3 on my list. Few people have been HOH and made a big movevon week 1, and still have no blood on their hands, yet James has none. He has been a great HOH and i think a mixture of Derrick and Donny from season 16. For this reason he gets number 2.
hello everyone and welcome to the Big Brother season 17 episode 3 recap. sunday was the first day that we actually saw the intro to Big Brother 17 and it followed along with season 16 only with the new houseguests. the episode began with the house guests guessing on what Phils message to Da'Vonne and Vanessa meant. As the houseguests cleaned off from their comp. Jace and Austin had fun making up a "Bro Code" and Jaces loudmouth manner caught the attention of several houseguests. They continued talking as everyone went to see the HOH rooms. 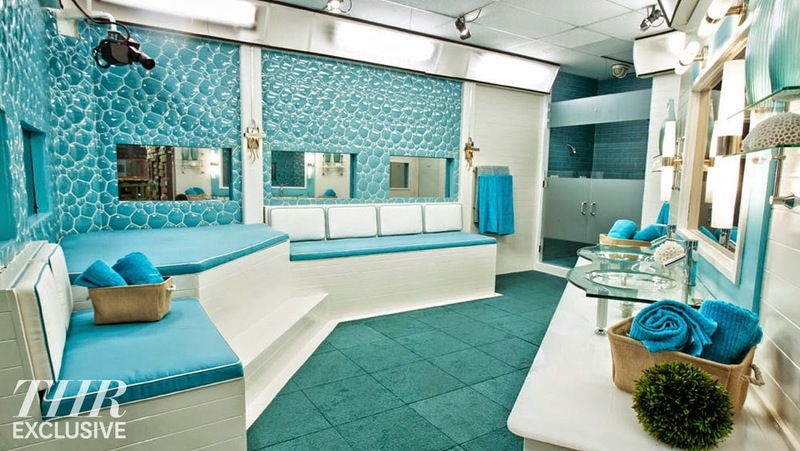 A few notables about the HOH room were the glass floor which looked like open sky, fish INSIDE of a table, and slippers for both HOHs. While in the bathroom(trying out the bathtub) Jace began saying to get the girls "in here" causing several eye rolls and Austin to question any future alliance. Once alone James and Jason openly conversed on strategy, talking about what they knew about each houseguests. First they considered John and Steve for targetting, but decided Jaces social game would make him the perfect target(also because he did well in comps. Next thing they knew a BB Takeover began. Phil said then that Da'Vonne and Vannessa would receive a BB Fast Forward. This would remove them from ANY possibility of nominations. However they would have to bring one person EACH with them. Vanessa and Da'Vonne began interbiew style Q and A to determine who they should take. Da'Vonne told Shelli and Audrey she couldnt take them and throw suspicion on herself(upsetting Shelli.) She finally decided on Liz. Vanessa said she was looking for some return on this and so chose Austin, as his social game could be an asset. Afterwards, Shelli and Clay spent time together in the Hammock room discussng their pasts, both steering away from the game in their conversation. Da'Vonne saw them and she and Audry decided to keep her on thevoutside from now on. They then went to the HOHs to talk about targetting Jace and Austin, both HOHs agreeing on trying to backdoor Jace with the majority of the house. After the nominations Jace began bragging in a DR session on how he knew he wouldnt be picked, while Audry and Da'Vonne celebrated stage ones completion of their plan. In the BOB challenge the competitors appeared to be construction workers on beams. The goal was to carry blocks across the narrow beams and create a skyscraper on the other side. If they dropped a block or fell, it was back to the beginning. Becky showed amazing balance right from the beginning, while everyone else fell on their first trip over(to which Jace said the workers comp bill would be huge). Seve began crawling on his side, pushing his pieces in front of himself, bringing Meg to make the comparison with a mouse with cheese. It was a neck and neck battle but in the end Becky placed the last piece, saving her and John from the block and dethroning Jason(who was doused in cement slime). She then regretted, though, showing her hand to early and wondered if that would change her game. We left the houseguests congratulating Becky and John on their win, and James on his reigning HOH. However will someone win the power of veto and use it, ending Jaces game? We will find out this Wednesday. Expect the unexpected everyone. Good Night. Hello everyone and welcome to Big Brother buddy blog about Big Brother season 17 episode 2 recap. First off, I would like to say I am sorry for a few mistakes I made in yesterday's post about episode 1. First of all, one problem was that the battle the block was announced before the competition, sorry about that everyone. Also the Twin Twist would bring an identical set of twins into the house they would swap places with one another for several weeks and if they managed to stay in for so long(without anyone figuring out they were twins) they would be allowed to both come into the game as separate equal competitors. Okay so let's go ahead and get started with yesterday's episode. 6 new house guests were let into the house at the start of the episode these were Steve and awkward engineer / genius, Vanessa a world famous poker player and DJ, Jason a happy, young, openly gay grocery store worker/superfan, John a rockstar dentist, and finally Liz and Becky no info really gotten off on them. Once situated, the HGs once again had a roundtable discussing their personalities/ history. During this time some notable things happened. First off several people noticed Steve's awkwardness and wondered about his effectiveness in the game. Vanessa decided to come forward as only a DJ hiding her poker skills from the other players. John would follow in her footsteps merely mentioning that he was a dentist however Da'Vonne did not believe him, stating that he did not give off a dentist vibe in her diary room sessions. Jason came forward as an openly gay man happy and bubbly the whole time with an extreme social game. He may be a threat to look out for in the social aspects of this game later on in the season. Liz and Becky both seem to catch James eye, but what they said has totally lost me for the same reason that Shelli's was(not enough info). A showmance may be in the future for James if he could just get up the courage to ask one. After everyone had their say, someone finally mentioned, frightening the other hgs, that two chairs still remained unoccupied. It was at this time that outside the house Julie called on Phil Keoghan of the Amazing Race to come forward for the very first BB takeover of season 17. Phil went on the screens to tell the house guests that in seasons past big brother has given two teams to the Amazing Race. These were Jeff and Jordan, and Rachel and (some guy I don't know sorry everyone). This year on BB 17 he said that they would reverse. He gave the BB cast two new faces of Jeff and Jackie of the Amazing Race: season 26. Though teammates on the show they apparently did not get along well based on their video. Once inside the house they were actively greeted however several whispers went around the room. Da'Vonne and James showed outward fear of the two seeing as they were a couple outside the house first. Da'Vonne comparing them saying that they had already done Gulliver's Travels and didn't know how they would handle the house. The new house guests were then called into the backyard to participate in the second HOH comp of the summer. on Wednesday the competitors were said to be on the red carpet at the screening of UFOhno. However Thursday the new house guess we're supposed to be on the set. When they came into the backyard they found themselves in a sort of a cornfield area with fences, an alien family, UFOs hovering overhead, and a demon cow with red eyes and green veins on the side of its head. They were all dressed in overalls and straps were attached to them from behind, and placed next to certain log standing upright. The comp was simple, hold on to the log as hard as they could and try not to get sucked up into the UFO as the cables added more and more weight, pulling them up into the UFO. When the count first started everyone latched on with arms and legs trying to hold on for dear life, telling the other house guests who set nearby the test was harder than it look. They had only been at it for a little while when an earlier houseguest mentioned that they had been hit with tomato juice in their comp, and saying that the new house guess were lucky. Jason turned to them and said that they were just too good for that just as a stream of slime was sprayed on each competing house guest, making it harder to hold on to their logs. Steve said in a diary room afterwards he was trying to hang on long enough so that he could not be seen as an easy target but also not a threat however he was the first to be pulled up. It is notable to say that when he fell he did not have his glasses on and that I do not know if he found them afterwards. The next person to fail was Jeff who said in the diary room afterwards that he gave up trying to make a smaller target on his back, knowing he already had one. John came next quickly followed by Becky, coming back to back trying to hold on, but it was just too much for them. Liz got encouragement from everyone in the crowd as she held on for dear life. She appeared to be winning at first until a sudden slip left her at the top of the pole. She held on as long as she could with only her hands as her legs were held in the air making it even harder but in the end she had to let go. When Jackie and Jason were the last two remaining Jason struck a deal with her. He was still at the bottom of the pole obviously going to win, while she was at the top barely hanging on, he gave her the deal that if she would let go he would not put her up for eviction. After swearing an agreement from him she let go. Now we will just have to wait and see if Jason will use his new position as HOH to begin to build trust with others, or turn back on Jackie and put her up on the block first thing. Only time will tell. Also, James is free to put her up, no problems there. While everyone recovered from the comp, Phil came on the screens with a message for Da'Vonne and Vanessa(who both sat out the HOH comps) telling them simply: risks have rewards, before signing off. More twists! More suprises! Its still anybodys game, and remember: Expect the Unexpected. Bye everyone! 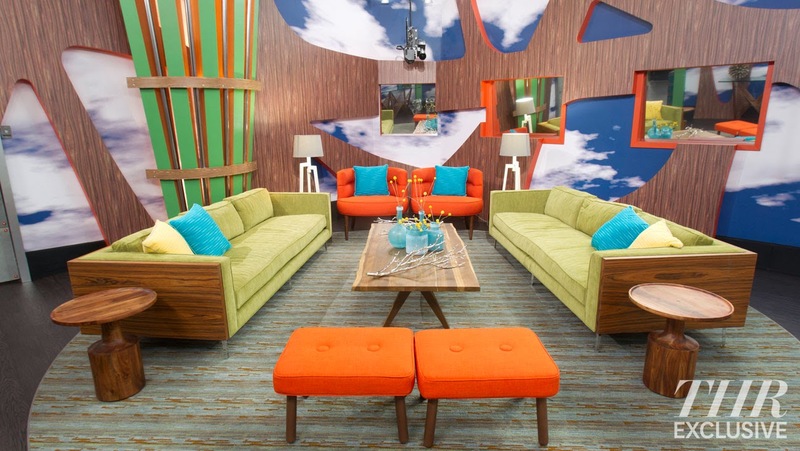 Well hi everyone and welcome to Big Brother 17!. Lets get right to it. Big Brother kicked off season 17 with a bang as the first eight HGs were let into the house. James surprised everyone a little when he got lost right from the start, unable to find the bedrooms. Everyone got situated, finally, and with a round of champane(hop i spelled that right) began to describe themselves. Audrey told the others of her transgender struggle getting both sympathy and encouragement from her fellow HGs. Da'Vonne lied saying she was a 2nd grade schoolteacher rather than a poker dealer. Clay also hid his football playing in the dark. James explained being an Asian man with a southern accent. Jace made a shoutout to the "penny cab driver" Hayden. Whatever Shelly said was lost on me because of her constant obsessing over Clay. While the boys.talked work, the girls were making a three person alliance between Shelli, Da'Vonne, and Audry. Shelli and Clay admitted to being attraction during diary room sessions making a showmance possibility become very likely in the next few months. 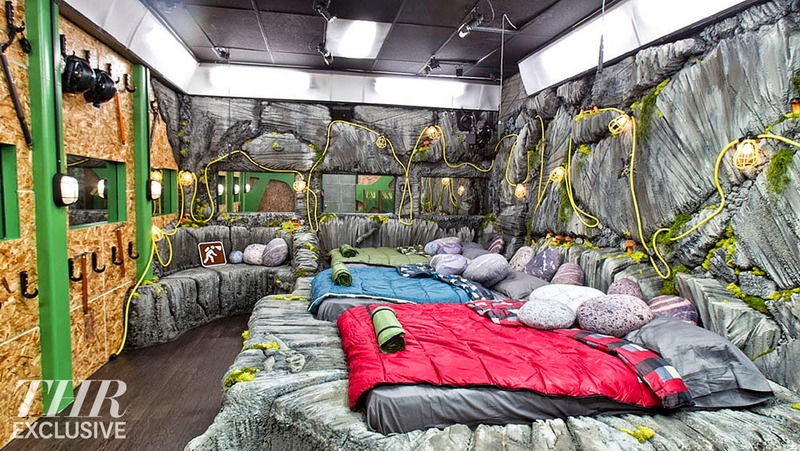 After relaxing for a while they were called to their first HOH challenge, though one would have to sit out for an unspecified reason. Austin was going to volunteer but Da'Vonne spoke up first, deciding it might be a strategic move to wait. The HOH comp was simple: stand on a small board(which moved up, down, in and out of the wall behind them, while catching tomatoes. The first person to get ten tomatoes(or last to be standing on a board) would be the new HoH. At first everyone was doing ok when.... Meg, Clay, and Austin all fell quickly, Austin destroying several parts of his station accidentally, while Jace barely saved himself, hanging onto a small box they were t. put their tomatoes in. Then all of a sudden Audrey, James, Jace, and Shelli all fell at once, forcing a last to touch the ground rule into play. James bately won, becoming the first HOH of BB 17. Once inside Julie called them to the living room where she told them that the Battle of the Block would return, along with BB Takeover, where a new twist will be introduced each week. We left the houseguests contemplating what the twists would mean for their games. I think they already forgot the motto. "Expect the unexpected. Well see tonight, so GL houseguests, your gonna need it. The best part of our Big Brother Buddy app (on iOS and Android) are the push notifications. Whenever something important happens, you can rest assured that you will receive a push notification telling you what's going on. The bad news is that iOS 8 broke our push notifications -- so you will need to update your app in order to get this feature for Big Brother 17 season. So if you have an iOS device, make sure you update now before the season starts! If something important happens on the live feeds, like a booze delivery, a huge fight, or the POV results are in, you are covered. Let us watch the Big Brother live feeds and sacrifice our summer so you can enjoy yours! 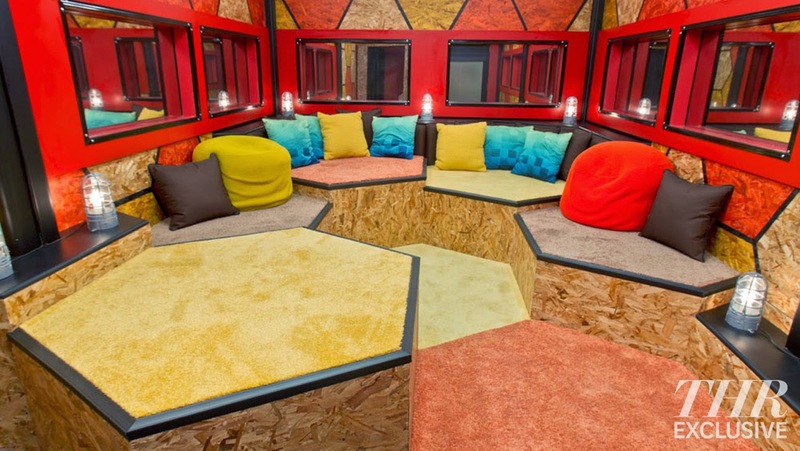 Big Brother Live Feeds: Now 25% Cheaper! Well, it's that time of year again -- time to start thinking about purchasing your live feeds for the coming season of Big Brother. Big Brother 17 is still somewhat of a mystery, as in, we don't know who the houseguests are, what this year's theme is, or if there are any major twists lined up for us. These are all the rumors we can expect to see over the next few weeks. The bad news: Until this season, Big Brother live feeds have been available to Canada as well. Not this year! Canada cannot purchase the live feeds, but we are confident that Canadians will find a clever tactic to watch the feeds with. This week in the Big Brother house people got played, people got yelled at, and Caleb continued to be Caleb. The moment Zach won HoH I screamed like a little schoolgirl. But come on, it was justified. Zach Attack earned his name ten-fold this week as the house realized he's a psycho. An entertaining psycho. CRITERIA: These rankings are made based upon STRATEGIC GAMEPLAY and how well an individual is perceived throughout the house, NOT HOW MUCH I LIKE THEM. A veto winner may be lower than someone still on the block because of how well they are playing the game as a whole. WARNING: OPINIONS INCOMING. This season has lent itself to have more "players" than we've seen in a while, with some exceptions. Those exceptions include the first five evicted. An argument could be made to say Amber was player, but for the wrong reasons. She worked with people that wanted her out and never knew they did until it was too late. The time Amber spent in the house consisted of her never agreeing or disagreeing with other's plans. Playing "Switzerland" gets you no where in this house (except out the front door). And then Caleb. Caleb basically drove you to this point for reasons we all know. With Caleb in that house, you were basically primed for eviction. ...yeah so...Victoria only had about five minutes of screen time this week. She cried. Then she cried again. Oh, and she got put on the block I think. Wow. Jocasta got more screen time this week then she has with every other week combined. And every second of it proved why she should still be this low. She's like a more tame Zach. Seriously, re-watch her video diaries. She speaks to herself and inanimate objects. Actually let me rephrase that. Jocasta calls herself and inanimate object. "Hello? Yes? The block? Yeah, I'm still here ya'll." Basically, Jocasta is a comic relief character and not much more. I HATE putting Donny here. But let me explain. Donny's overall likability is what allows him to thrive in this game. However, that doesn't mean he has influence. Team America helps with putting his foot in the door, but he still hasn't gone out to make any deals. People love Donny in the house yet he is being brought up as a pawn option time and time again. With the Detonators having fewer and fewer targets each week, Donny needs to step it up. Being safe and being powerful are two different things. As much as he would like to think he's the king of the house, he's actually the jester. He has no game perception and got played HARD this week. The Detonators plan to take out Amber was twisted into a way where Caleb thought he came up with it. He straight up evicted his "queen." A week ago I thought Caleb might stalk Amber into his own eviction, and instead he ends up being a part of her's. If beast-mode cowboy actually wised up a little, he'd see the truth of his situation: he's being used. Big time. Nicole being put on the block this week showed us that the Detonators have a pool of people they intend to put on the block as pawns to get out their true targets. With less targets, Nicole is slipping out of that pool and into a different role. The power she posses resides only with influence over Hayden and Christine. As the weeks continue it seems that the house will be split between the Detonators and "the others," with Nicole and Hayden as the bigger threats. Nicole needs a power role to gain more trust with others or else her side of the house will crumble. The king himself. Zach moves around the most on my rankings because of his predictable unpredictability. This week, Zach plunged his hand into chaos as he had fun with the other houseguests. Seeing him pull strings is amazing television, like with trying to blow up Christine's game. However, that charade of craziness can only hold weight for so long. He has now taken the role of scapegoat as people blame him for sticky situations in their game. Who knows what Zach will do next. I just hope to see him a bit longer. The guy is a lunatic, but a fun one at that. Why does everyone trust this guy? It seems to me that the entire house wants Hayden in on their plans. Whether it be Nicole and Christine, Frankie's backdoor plan, or Caleb's delusions, everyone likes Hayden! Where Hayden stands out this week in terms of using this is key. He used the veto he won when he could have easily stepped aside without any blood on his hands. Hayden gained an ally in Victoria as well as trust from the Detonators by going along with their plan. It was the perfect move to use that veto. Cody seems to be a mid-tier player in his alliance. He isn't out making moves or talking game to the other side of the house, but he's in a good position. The problem he has is that his influence is basically tied down to the Detonators. The second someone like Jocasta or Donny win HoH, Cody could very well be up there. He needs to utilize his charm more widely in terms of game and forge some actual connections with lower players like Donny before he moves up higher. Uh-oh! Christine's game was almost blown-up by Zach this week. His little conversation with Nicole planted some distrust between her and Christine. After she cleaned up that mess, she confronted Zach. THAT'S A NO-NO. Confrontation in the Big Brother house is not a good idea, no matter how much support you have behind you. Zach's time will come when the house becomes over-saturated with his craziness. This is not that time. No matter how much he may bother her, the real game move is to plant seeds of distrust with the rest of the alliance. Christine's power falls slightly this week because of her association with not pulling weight in the Detonators. You don't want Zach against you. Frankie's plan was executed perfectly this week. Amber left and Caleb was on board with it. Frankie has chosen the smart path of being close allies with Caleb through this all as it means he holds authority over what he does. Caleb believes himself to be pulling the strings of the alliance when Frankie is actually pulling his. Setting up shop next to Zach also helps his game. The craziest man in the house being on your side is a plus because it means a) he won't be after you and b) he will be targeted before you. The only thing keeping Frankie out of the number 1 seat is all of the side deals he's been half-making. It might catch up to him. Damage-control Derrick. My MAN. I will be biased towards Derrick until he gives me reason not too. Derrick is good with everyone and has influence over them just as well, even Jocasta and Victoria. The reason Derrick takes his rightful spot back as #1 this week is because of a big event that wasn't heavily emphasized on the show. For about an hour on Wednesday, the plan changed to voting out Jocasta. Christine, Cody, and Frankie were having second-thoughts about who was better for their own game to leave. Derrick wasn't having any of that. In one of the sleekest ways possible, Detective Derrick posed questions instead of assertions to make sure everything was back on track. He is man of true smoothness. That's it for this week. Come back next week to see if Zach exploded again. And that's a big possibility. As always, make sure to leave a comment explaining why I'm wrong about everything. See ya! Hello and welcome back to the weekly blog about a show where a straight man and the gay brother of Ariana Grande have more chemistry than a cowboy and a model. Not to be rude, but Brittany's only relevance this season was her Veto ceremony rant and kicking a soccer ball. Brittany seems to be a truly honest, sincere, and straight-forward person at heart. And it's exactly why she walked out that door. Her constant complaining to houseguests about the rest of the house was her big downfall. Telling someone something bad about their best friend is a sure-fire way for them to tattle on you Brittany. You could tell she was a recruit for the season based solely on how...well...she never made a single alliance. The only reason she even lasted this long is because Devin had one of his many brain aneurysms and used the veto on her. A recently single mother is not the optimal person to have in the Big Brother house, mainly because they are still trying to figure out who they are or what they want in their life. Shocker, right? Victoria has only been noticed on the show for winning a veto because of Caleb's irrationality. Oh, I'm sorry. She also talks about how pretty she is once in a while. Hayden put it best, "Who's that? No seriously, who is that?" So, uh...anyone rooting for Jocasta out there? I don't want to waste words describing why Jocasta has a place here because you all already know why. She stays low every week because all she's done is gotten sick and spoke in tongues. Like actually spoke in tongues guys. Oh, but I thought you were the "beast-mode cowboy?" No, Caleb, all you are is a beast-mode meathead. Your descent in this list stems from...well you know why! Amber isn't your queen, and the way your are pushing her into a corner is insane. YOU chose to volunteer yourself and then throw the veto last week. That doesn't mean she should all of a sudden become infatuated with you. Actually, it means she should be weary of you. You SNUCK UP to the HoH room to spy on her and then forced her to go on a date with you. But even with all of this, looking past all the creepiness, you have terrible gameplay. Taking that money over the veto this week proved to your kind-of allies that you care nothing about strategy. All you care about is Amber. If Cody doesn't strike first, someone will. By the way buddy, the Bomb Squad isn't a thing anymore. No one trusts you. The Detonators even formed just to exclude you and Caleb. This whole Caleb situation is just seals your fate. You'll probably last past Caleb but that isn't saying much. Make a deal or two, don't just float around and cuddle with every guy. Unfortunately it may be too late, as you seem to be put up every week. Maybe your competition streak will continue, because that's all you've got. It looks like we have our new superpawn. However, Donny is no Spencer. What may seem like a floater's game is shaping out to be something interesting. Donny understands that Cody putting him up wasn't what it looked like. There had to be others in his ear. If Donny can get to the bottom of the Detonator alliance he will have some major insight into the rest of the game, and therefore more power. Some may call Hayden receiving a kiss from Nicole a win. Not on these rankings! Hayden falls down the totem pole this week because I now know where his head is at. He wants to flirt with Nicole and follow what she does. He fell head first into the alliance with Christine and Nicole. Other than that, Hayden has just been a lovable guy. Once the Detonators start losing people to put up on the block, Hayden might be an easy target. If he can get his head in the game and out of Nicole's bed, that's when we'll see the true Hayden. Nicole is the cutest thing to ever step foot in the Big Brother house. Does that mean she's the biggest strategist? No. But she does has some good things going for her. She isn't on anyone's radar and has the likability factor. The guys of the house seem to have the lockdown of the game, but Nicole and Christine definitely have some leverage somewhere. Nicole does need to make some connections with these guys, though. When the war begins around jury time, Nicole will need more allies. Uh oh! Now, Cody isn't here for putting up Donny, but I will get to that. Cody butting heads with Caleb is exactly what he doesn't need right now. Without Derrick or Frankie, he might even have drawn a line in the sand WEEK 4. What many people are failing to realize is that no matter how much we as the viewers dislike Caleb, blowing up the house is only good for T.V., not Cody's game. Cody almost sought out blood because of personal reasons. Yes, Caleb may eventually go after him, but it is TOO EARLY to strike against him. He still thinks the Bomb Squad exists, so he needs to ride that out. How did you do this? I honestly don't know. Somehow, someway, you've managed to go from top tier, to bottom tier, and all the way back up again. You're a roller coaster dude. Your unpredictability is your biggest negative. Yet here you are again. The Detonators add to your power and influence in the house along with being in a basically-showmance with Frankie, the messenger of the house. I honestly won't be able to predict your placement next week, but man do I want to see some more Zach Attack. Mr. Mole continues to work his magic. People feel comfortable telling him secrets as if he won't go tell his true alliance what is going on. Donny and maybe even Cody seem to be catching on to his charade, but Cody won't make a move and Donny doesn't have enough authority to even do so. After finding out about the passing of his grandfather, Frankie took it hard. But he picked himself right back up and stayed strong. He has the determination and momentum needed to win this game. His influence in Cody's move to put up Donny shows that. No matter how many times Frankie wins HoH, only to be dethroned, he is not made a replacement nominee. He's doing well! So CLOSE Derrick! With everything you've done this week, the number one spot should have been yours. You had a major hand in Caleb staying off the block and avoided a potential blowup. However, Donny still holds the key to your one flaw. He sees that you may be pulling the strings around the house. Donny may not be able to do much about it, but that's still one person who may start spreading things about you. Getting back to your influence, the Detonators is a good group of people. The others in the alliance have your back a hundred percent. What made that certain occurred right at the end of the week when you threw the HoH to Frankie so he could see his grandfather. Game move or not, you'll be receiving some major props inside and outside the house. Tell me one person who would put Christine up. Now tell me one person that Christine doesn't talk game to (excluded Victoria). Christine has the perfect position in the game. She's in with the big dogs and the underdogs. She has also put herself in a place to never have to directly send someone out of the house yet still influence that decision. Her DR sessions continue to show her knowledge of the game and the people playing it. The only flaw I'm seeing with her gameplay is that when push comes to shove, she won't know which side to go with. But as long as she plans ahead, Christine is sitting pretty. Well that's this weeks power rankings. Come back next week to read about how much I obsess over Derrick and laugh at Caleb's gameplay. Post a comment telling me why I'm wrong about everything. See ya!